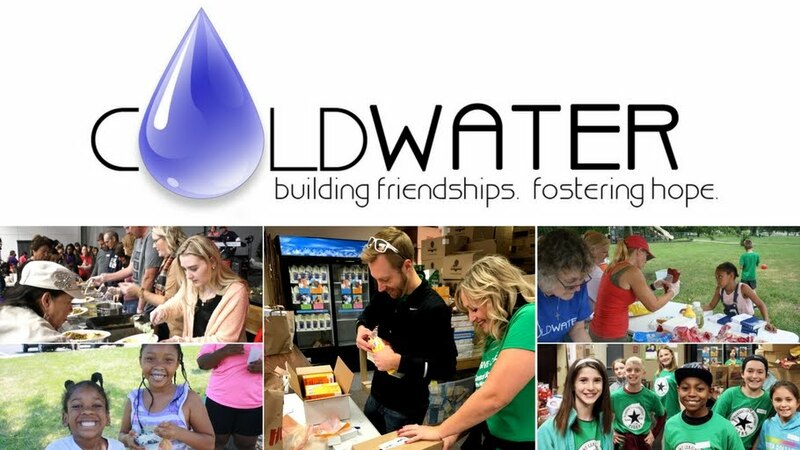 Are you interested in contributing to Coldwater? our clothes closet organized, and our doors open to everyone. When you make a purchase on Amazon.com, a portion of your purchase goes to Coldwater. Click on the image above and start giving whenever you shop with Amazon. Donations are needed for our bi-monthly Clothes Closet. Please launder clothing items prior to drop off. Baby clothes, maternity clothes and men's clothing are always needed. Please take your donations to the trailer behind the building at 501 NE Missouri Road. The door with steps on the building side is open for clothing, shoes and linen donations. Until further notice, Coldwater will not be taking toys, household items or furniture donations. The Preschool Backpacks are packed by Coldwater volunteers on Thursday mornings during the school year. All items are either donated or purchased by Coldwater. food pantries. 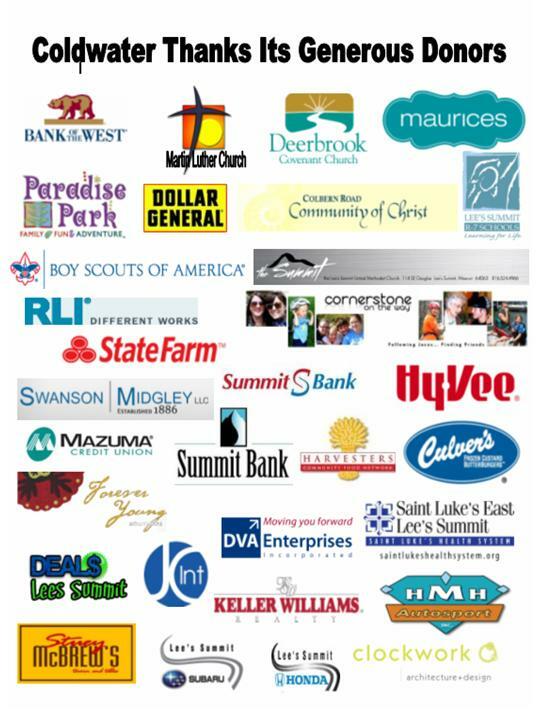 All food provided for these food pantries is either donated or purchased by Coldwater. bed frames, mattresses, cribs, etc. Coldwater does not take televisions. or if you are in need of larger items. For more information, visit the ShareLINK page.